Qatar’s public works authority, Ashghal, has announced the start of construction of what it says is the country’s first cable-stayed bridge. The government of Sarawak in Malaysia has awarded a US$73 million contract for construction of the Batang Paloh Bridge. 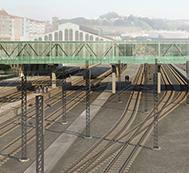 The construction contract has been awarded for a footbridge to link bus and train stations in the Spanish city of Santiago de Compostela. 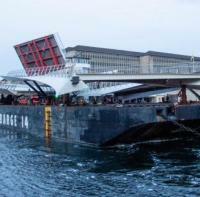 Components for a new pedestrian and cycle bridge have arrived in Copenhagen Harbour after setting off from the fabricator in Rotterdam in the Netherlands. Spanish railway operator Adif Alta Velocidad has awarded the construction contract for a section of the Murcia - Almería high-speed route that includes three major viaducts. 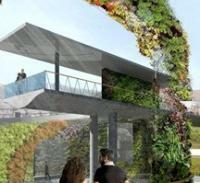 The government of Montenegro has appointed a contractor to build a pedestrian bridge in the municipality of Mojkovac. 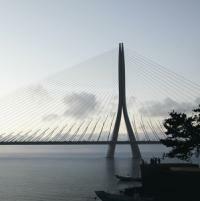 The contracting team has been named for a 950m-long bridge that will provide a connection to a new liquefied natural gas (LNG) terminal in Taiwan. 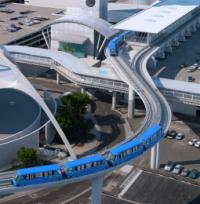 The construction phase has now begun of a US$4.9 billion project to build a 3.6km elevated ‘people mover’ at Los Angeles International Airport (LAX) in the USA. A joint venture of Malaysian and Chinese contractors has been appointed to build the Kuala Kemena Bridge, linking Bintulu and Jepak in Sarawak, Malaysia. A ceremony has been held to mark the cutting of the first piece of steel for the replacement of the Polcevera Viaduct, which collapsed last August in Genoa, Italy. 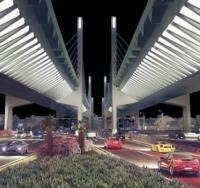 The construction contract has been awarded for a new bridge as part of the West Calgary Ring Road in Canada. The first span has been poured for the eastern approach section of 3km-long crossing on a new highway scheme east of Bratislava in Slovakia. A joint venture made up of three major contractors has been chosen to build the US$3.3bn Hampton Roads Bridge-Tunnel (HRBT) expansion project in Virginia, USA. 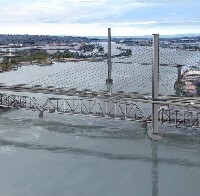 The Canadian province of British Columbia has selected three teams to participate in a competitive selection process for the US$1 billion Pattullo Bridge. 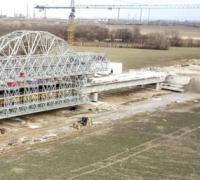 The US$257 million construction contract has been awarded for a Czech highway project that includes a 780m-long bridge.